“Friends, faith and fun… that sounds awful”. If the combination of these three things doesn’t sound like a great idea, maybe Go Fish is not for you. At this getaway we will have lots of time for fun, making new friends and deepening the existing ones, all while you grow closer to Christ. “I don’t need a break”. That what Go Fish is all about, a break in your daily life to be reminded of your deepest identity and purpose. You will come back with more energy and passion for life. If you think you don’t need a break that will help you thrive in your daily tasks, then maybe Go Fish is not for you! “I’d rather save the money”. Maybe you think that $60 for a weekend away is a lot, and don’t want to make the investment. If you think about it, a weekend at the beach, with friends, speakers, food, and lots of fun. It’s a steal! It might be more expensive to stay at home! “I don’t have anything else to do”. Obviously, you can come if you don’t have anything else to do. 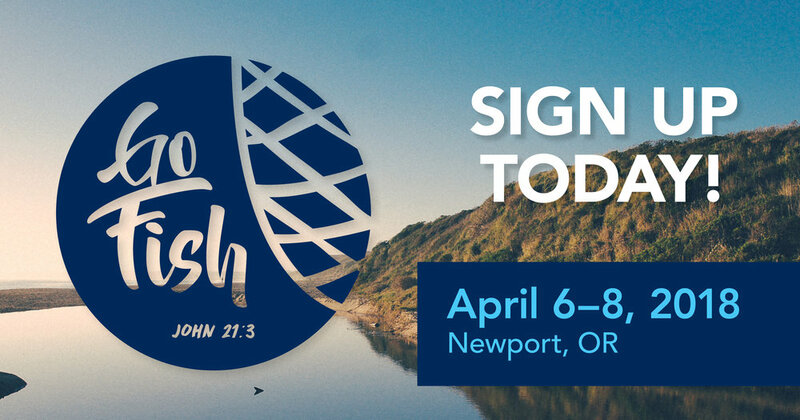 But we want you to make an intentional decision to participate in this amazing event, the biggest gathering of Catholic college students in Oregon. So, if you are really busy, you really need Go Fish. “I can go next year”. A group of demons discussing how to lead people into hell. The first says, “Let’s tell them there is no God.” The second, “No, let’s say there’s no such thing as evil.” But the eldest, the most experienced, says, “No — let’s just tell them there’s no hurry.” If you prefer to wait for something that you aren’t certain will happen, maybe Go Fish is not for you. But if you are willing to seize the opportunity, register for Go Fish today!